There are ultimately two kinds of people in the world: Those who care about others, and those who care only about themselves. This is, of course, an absurdly oversimplified categorization of human beings, and as a rule I generally oppose such absolute classifications. The actual reality, regardless of appearance, is that there are in fact no people who always care for others and never for themselves and vice versa; the most “selfless” among us likely prioritize themselves over others at times, and the most “selfish” among us have likely at some point acted in the best interest of another rather than in their own. I would certainly argue, as well, that self-care is the basis for caring for others and that to care for another is to care for oneself. However, the older I become I find this naïve conceptualization of people to be strangely persuasive and convincing as it often seems to fit my observations and experiences in daily life situations. Social interactions repeatedly seem to provide me with “evidence” supporting this view of human beings and their behavior. Many human interactions are characterized by problematic dynamics between people exhibiting altruistic behavior and people exhibiting ego-centric behavior, with the former representing a minority and the latter representing a clear majority. Those of us (like myself) who perceive ourselves to be the unfortunate minority of caring individuals in a vast sea of indifferent and self-absorbed (pardon my expression) “assholes” may feel increasingly angry and resentful in response to this apparently unchanging situation. Well, I at least certainly do, and I believe with legitimate reason. Sustaining a consistent commitment to care for the needs of others requires a great amount of emotional and physical energy; trying to maintain a relatively constant state of awareness and concern regarding these needs and responsibility dynamics within the context of self-other boundaries can be exhausting. Given the strong tendency for others to respond to such concern with a severe lack of awareness, pronounced apathy, covert manipulation, and even outright hostility, it is hardly surprising that “caretaking” individuals feel taken advantage of, unappreciated, and disrespected. This, in turn, can understandably lead to a profound sense of being unfairly and unjustly treated (e.g., “It’s so unfair that I always have to be the responsible one, the one who is hyper-aware of and attentive to the needs of others,” or “the one who sacrifices my own needs and wants for everyone else”). The most critical problem with such an identity is not that it turns one into a whining, embittered caretaker (although this is also problematic), but rather that it makes one a resentful, self-righteous martyr. 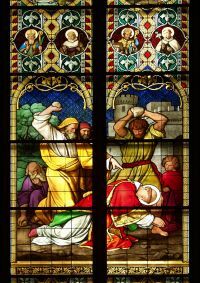 While the whining cry of “injustice!” can be emotionally satisfying as compensation for being the victim of unfair treatment, the enduring self-perception of martyrdom is much more enticing and alluring. Martyrs get to perpetually climb onto the sacrificial altar and lay themselves down as honorable offerings to the god of misplaced responsibility and the insatiable appetite of the parasites who are its worshippers. Yes, I do realize that “parasites” is a rather strong term, but consider the nature of ego-centric behavior, which does feed on a hyper-responsible “host,” one who assumes its own responsibilities. Isn’t this precisely how ego-centric individuals actually behave? It’s all about them and getting what they want, and what they want most is to avoid personal responsibility for attending to the needs of others as well as the undesirable consequences of their actions and choices. Surely ego-centric individuals exhibit parasitic behavior toward their martyr hosts, as seen in their commonly projected attitudes and assumptions (e.g., “It’s not my problem, so I shouldn’t have to do it,” “Someone else will take care of it,” “They will do it, they always do”). And we hyper-responsible martyrs get things done, don’t we? We consistently deliver the goods, confirming and reinforcing the expectations placed on us. Here we would do well to recall the great systemic principle that is perhaps most immediately recognizable in the popular expression, “It take two to tango.” For indeed, by the nature of their existences as such, every parasite needs a host to feed upon and every host needs a parasite to feed upon it. Whereas we are fond of pretending to be hapless victims of circumstance and others’ selfishness, self-honesty compels us to acknowledge that we are, in fact, self-defined and self-created martyrs. Parasites don’t make us martyred hosts; rather, we become so by choosing to assume and maintain this role identity in response to their irresponsibility. So what then should we do? Are we doomed to endlessly enact this ridiculous game in which the parasites act like they don’t know what they’re doing, and we, in turn, act like it doesn’t bother us, or they unknowingly or brazenly do their thing while we either seethe silently in a passive-aggressive rage or openly explode in anger and vindictiveness? I believe there are other options to consider. Unfortunately, I think we must accept the infuriating reality that in all likelihood change will not be initiated on the side of the parasites (spoken like a true martyr); after all, why should they change? They are enjoying a sweet ride with plenty of obvious rewards as long as we continue to play our dutiful roles as host martyrs. Ah, but there it is! If we stop playing the role of host then they can no longer play the role of parasite. If we stop assuming their responsibilities then they cannot feed on our martyr tendencies. However, this requires us to relinquish our martyr identities and the all-consuming needs that they satisfy (e.g., savior figure, noble sacrifice, suffering servant, competent achiever, nurturing caretaker), which can be an incredibly difficult endeavor. Yet, if we are able to do this, then we will learn how to see and understand the nature of appropriate, undistorted responsibility, recognizing the essential boundary line between our individual responsibilities and the individual responsibilities of others. We can then affirm our self-responsibility without taking theirs away from them, thereby enabling us all to become truly responsible human beings. As always, it is ultimately about balance and imbalance, balancing between the extremes of insufficient (parasitic existence) and excessive (martyr existence) responsibility, which distort the beauty of authentic, human responsibility. Most of us are likely acting in both martyr and parasitic modes at different times and in particular situations within our lives, but these identities don’t have to define us. Let us rather choose to define ourselves as individuals who passionately care for our own responsibilities as well as for others in owning those responsibilities that belong only to them.